I must be getting old. I’ve turned into a bird-watcher. Spread some grape jelly on an orange and what do you get? A Baltimore Oriole. I look forward to this time of the year when you can lure these beautiful creatures to your back yard in Northern Illinois for about a month until the mulberry trees bloom, then they disappear for another year. “Finally, brothers, whatever is true, whatever is honorable, whatever is just, whatever is pure, whatever is lovely, whatever is commendable, if there is any excellence, if there is anything worthy of praise, think about these things” – Philippians 4:8. 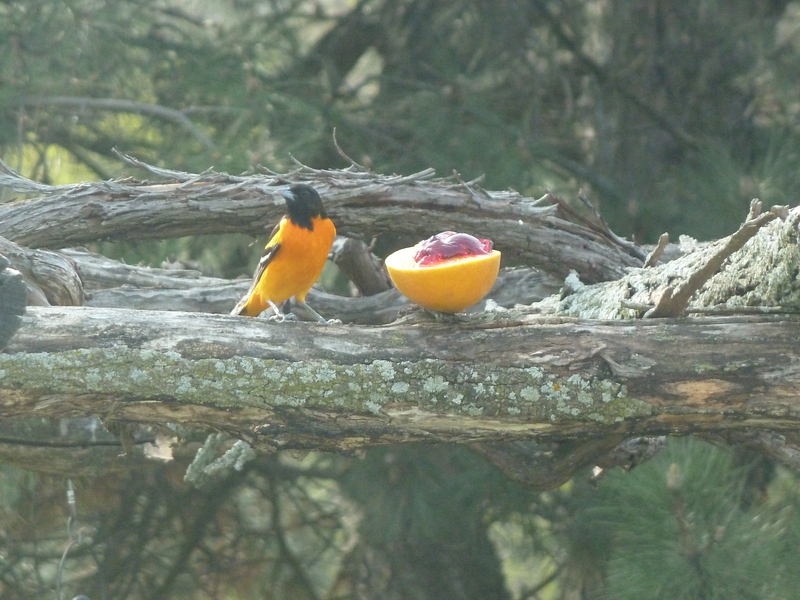 This entry was posted in Uncategorized and tagged Baltimore Oriole, creation, worship by ivanjamestruman. Bookmark the permalink.